China's building boom has created a ton of abandoned cities and massive ruins — most of which are brand new, and have never had people living in them. Here are the deserted Chinese cities, mostly built in the last 10 years, which could be sets for your next dystopian movie. In 2003, Ordos officials started the planning a new 1 million person city district. Thanks to a $161 billion investment in 2010, the "Dubai of Northern China" has the capacity for 300,000 people — but only 20,000-30,000 residents. It isn't a ghost town due to economic issues — the government simply can't convince people to move there. It has been 99% vacant since its 2005 opening. Less than 10 percent of the buildings are occupied. Now it's a memorial park. It was a corn field for decades, but now it boasts a grand canal, lots of Italian houses and a Colosseum-like shopping centre. The total project cost about $220 million, financed by a local mining company. The gated community, built in 2007, has an Eiffel Tower, some Parisian houses and the Champ de Mars. There is enough space to house at least 100,000 people — but there are only around 2000 residents, which lends a "ghost town" feeling to this place. Another gated community, opened in 2006, Thames Town boasts some Tudor-style houses, the River Thames and an almost Gothic church. Because of the high prices, it's a ghost town, but a really fantastic background for wedding photos. 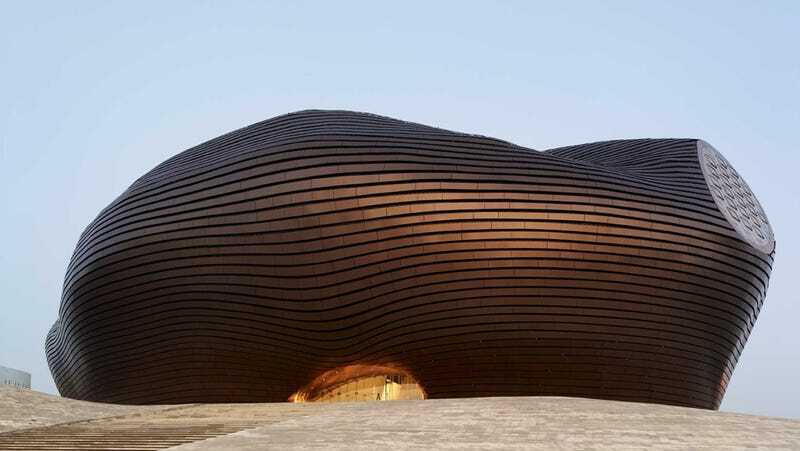 You can read more about China's copycat architecture here. This unfinished and abandoned amusement park was designed to be the largest amusement park in Asia, but construction stopped in 1998. The developers wanted to restart it ten years later, but they failed.